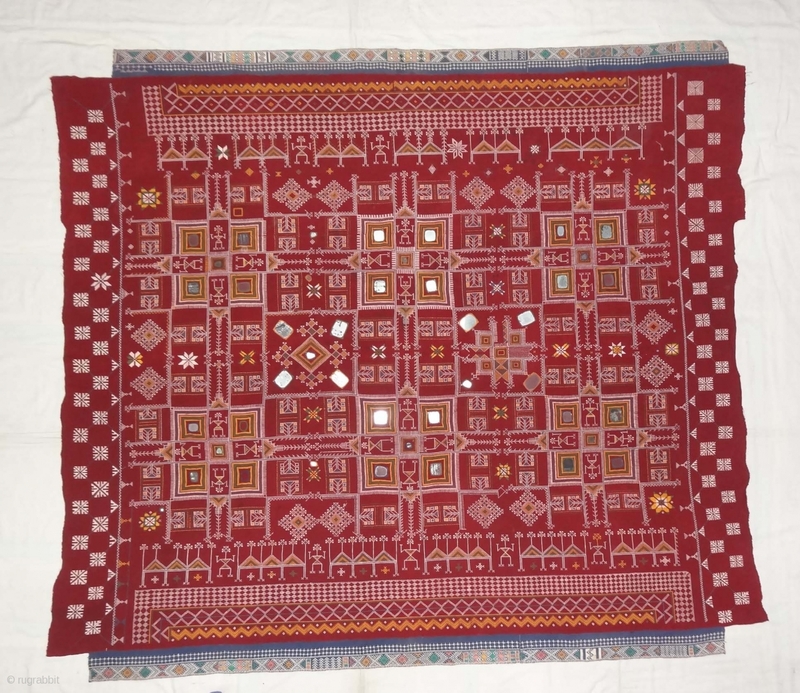 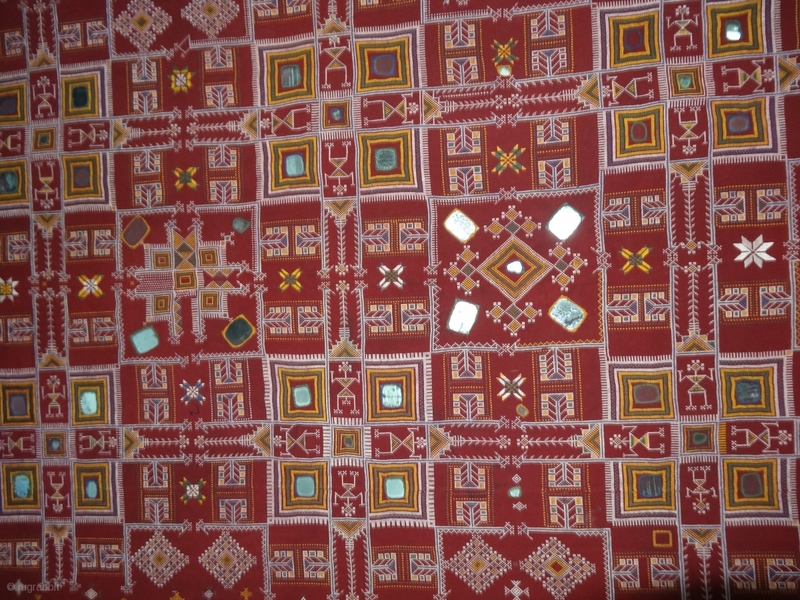 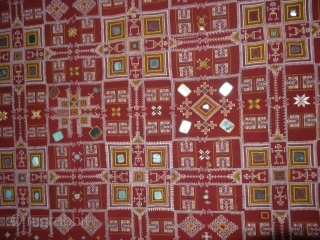 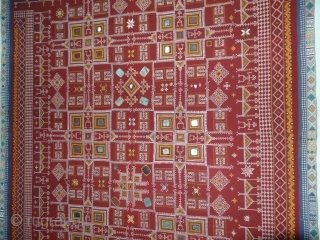 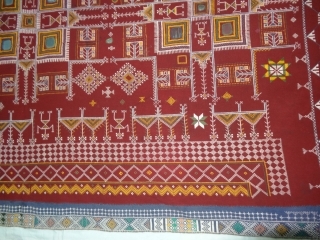 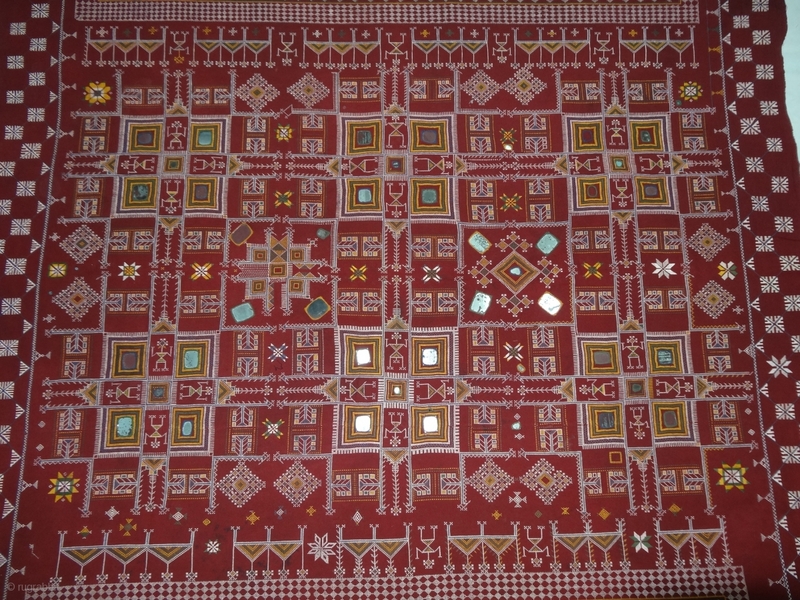 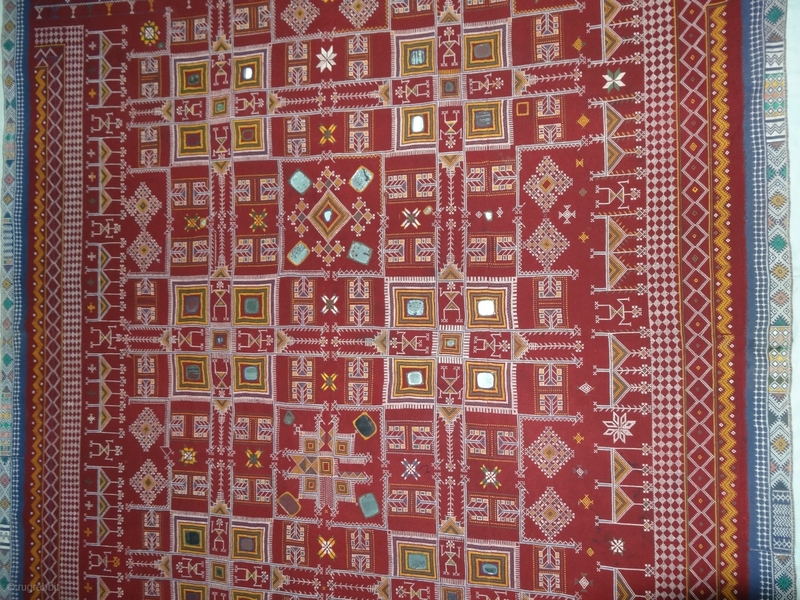 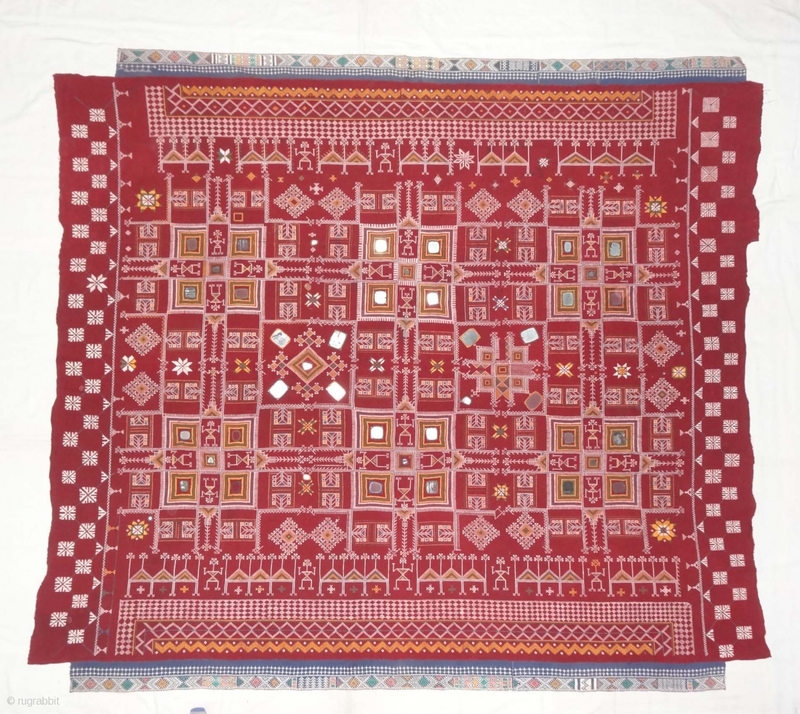 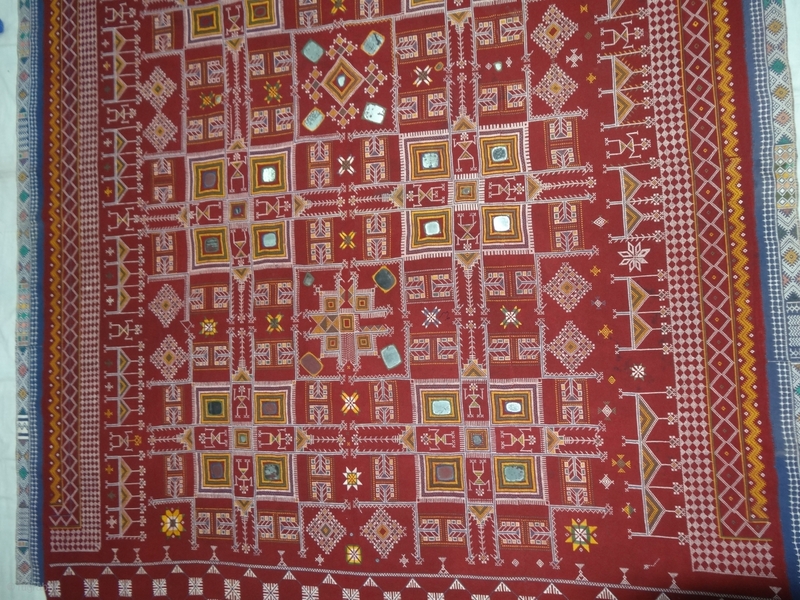 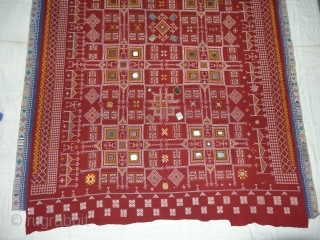 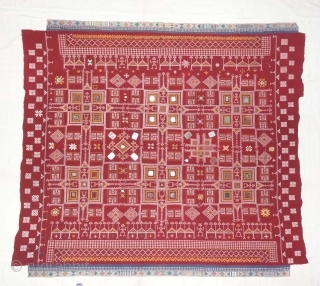 Odhani Bishnoi Shawl From Shekhawati District of Rajasthan, India.Showing the Different Chopat Designs, Embroidered on cotton Khadder (Village Khadi)cloth with natural colours,From the Villages of Shekhawati District of Rajasthan. 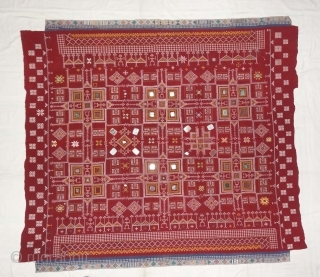 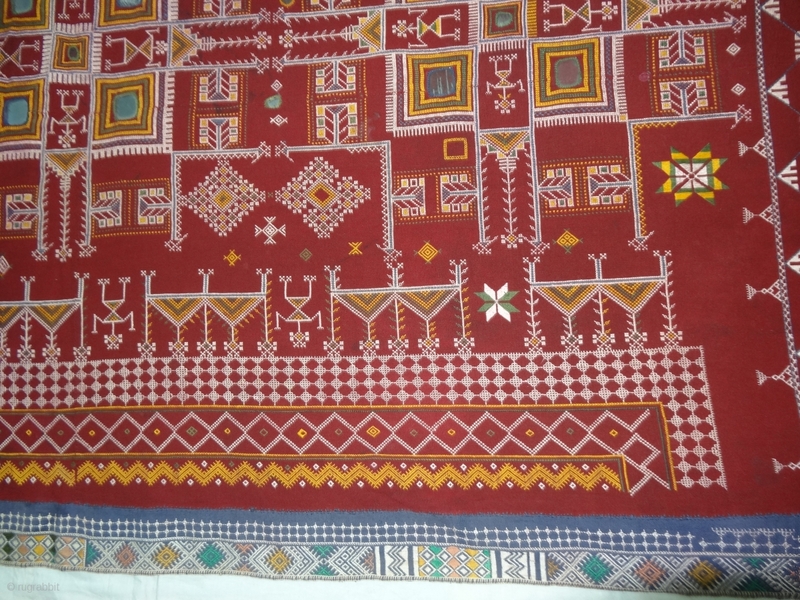 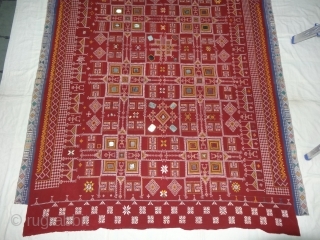 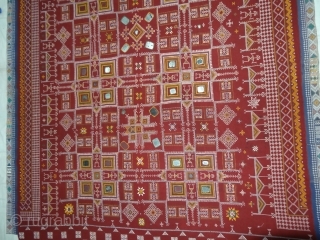 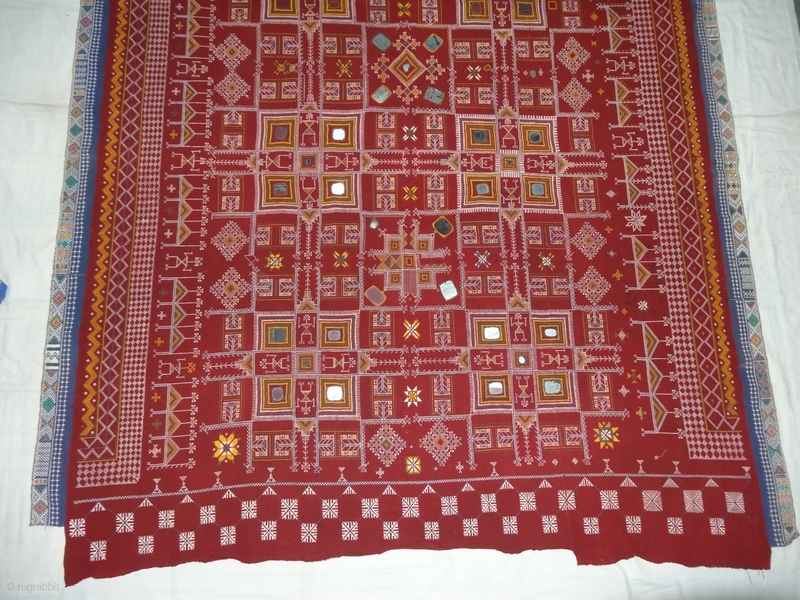 This were traditionally used mainly by Bishnoi Group of Shekhawati District of Rajasthan. 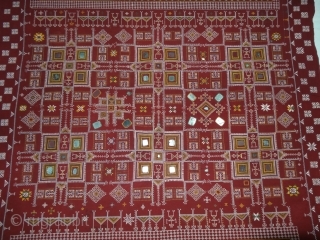 India.C.1900.Its size is 160CmX175cm(DSC04083).